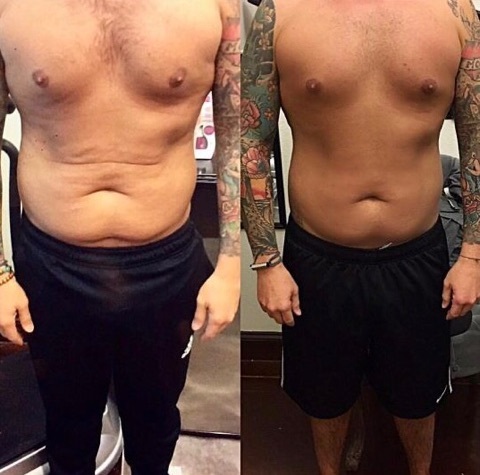 With our non-invasive Infrared Lipo treatments you can say no to pain, needles, recovery time and side effects. 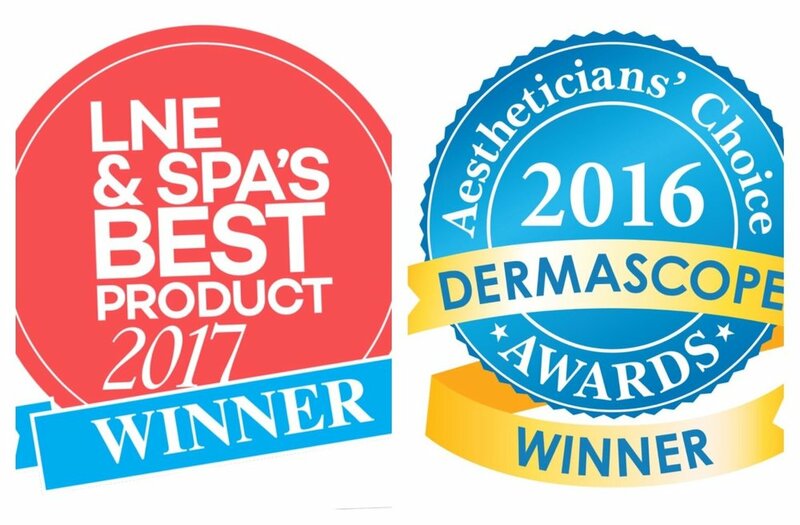 Our infrared lasers treat problem areas and tighten skin. 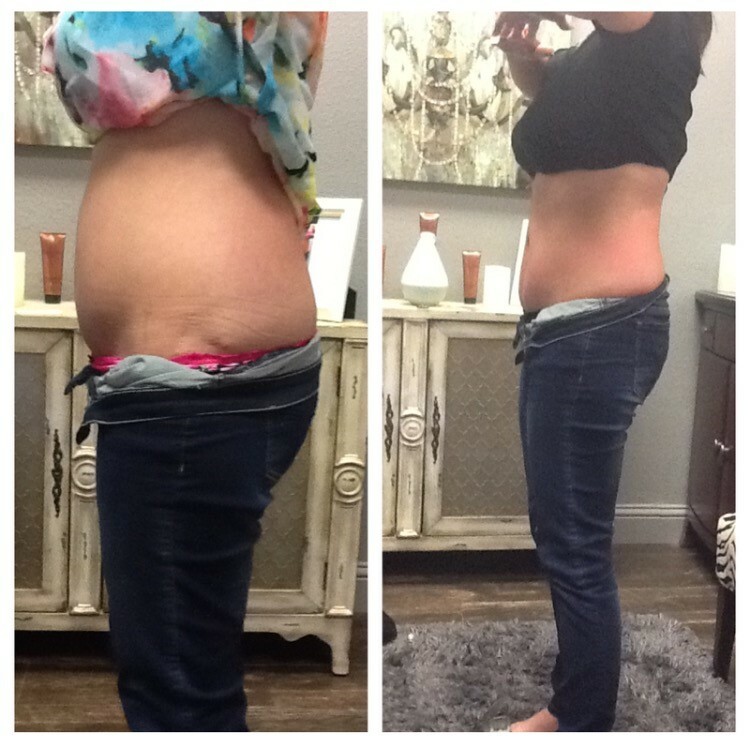 Don't be fooled by Laser Lipo treatments that use the same LED technology found in Christmas lights. 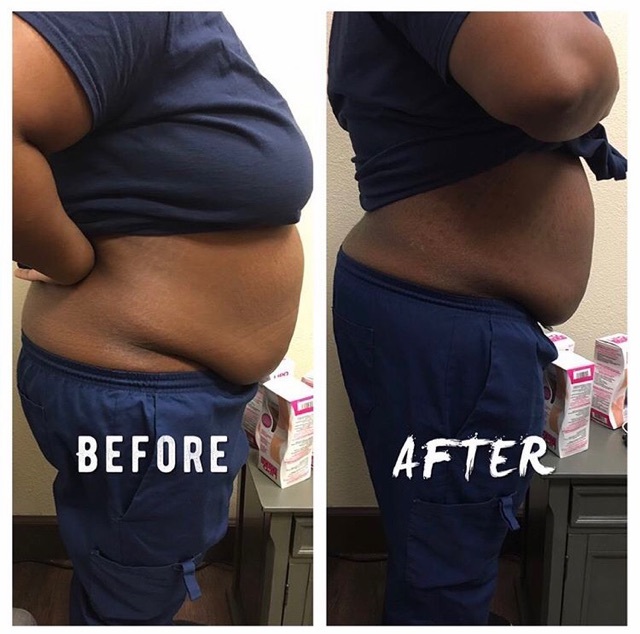 The light technology utilized in our Infrared Lipo system causes fat cells to temporarily alter the permeability of the cell; this brief change allows the fat contents to seep out from the cell where it can be processed naturally through the lymphatic system. 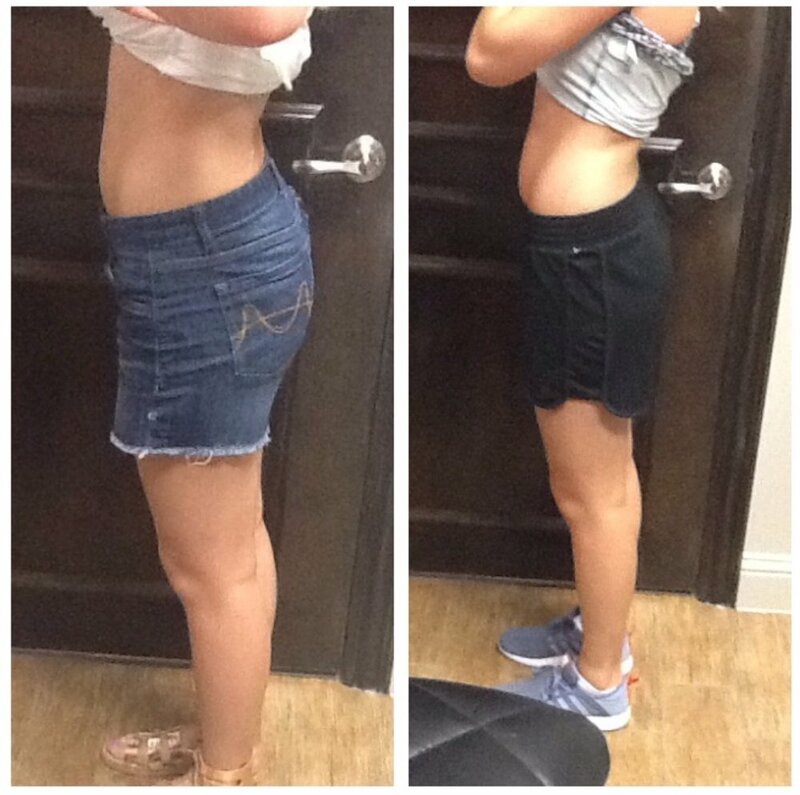 Our clients are real people who loved their transformed bodies and wanted to share their results. 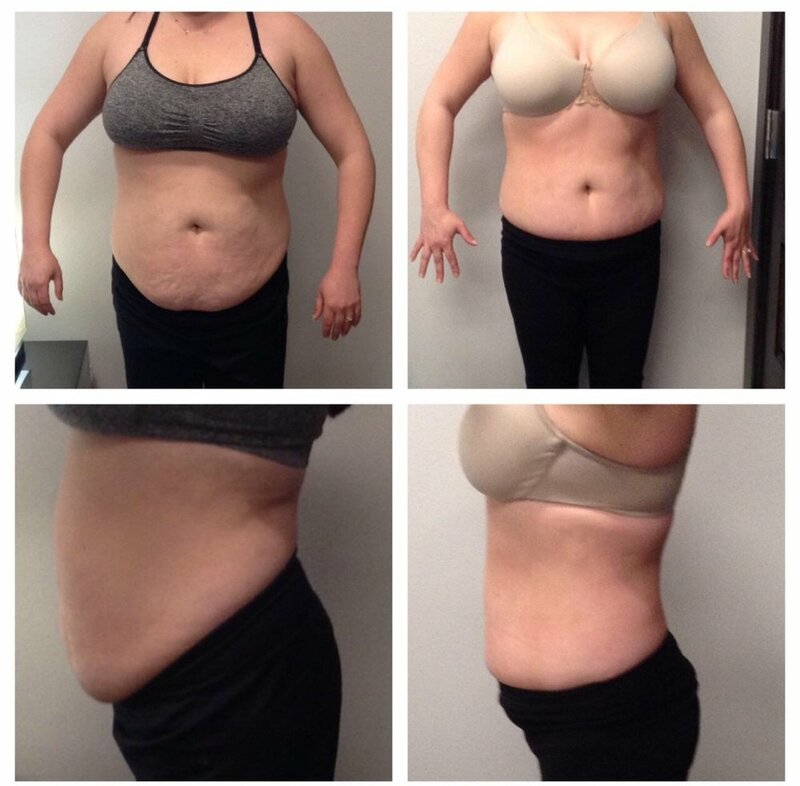 Visible changes can be seen after your first session; for optimum results we recommend 8 sessions. 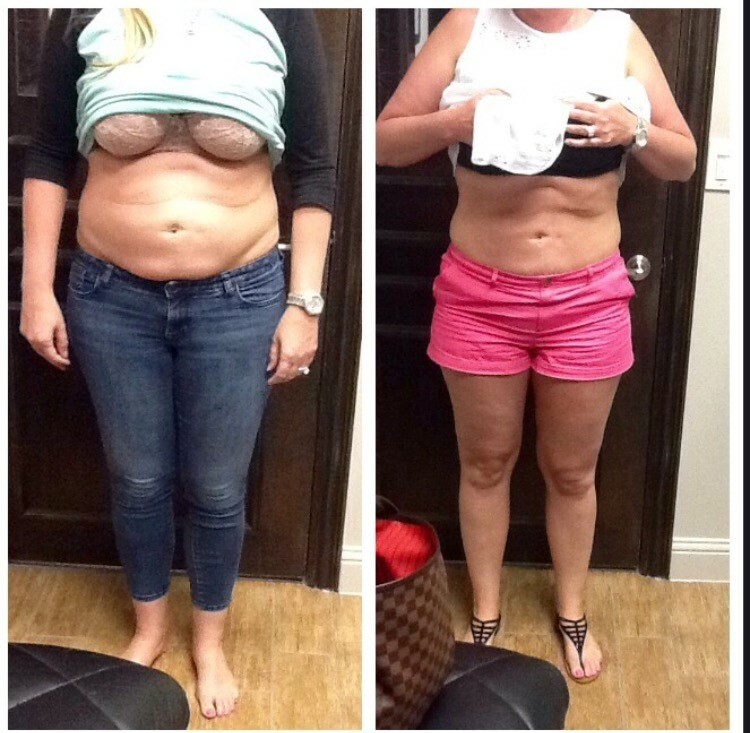 Body images before our patented treatments are on the left, results of our patented treatments are on the right side of the image. Please click on the picture to enlarge. Give Us A Try For $49 & See Why Our Customers Are RAVING! 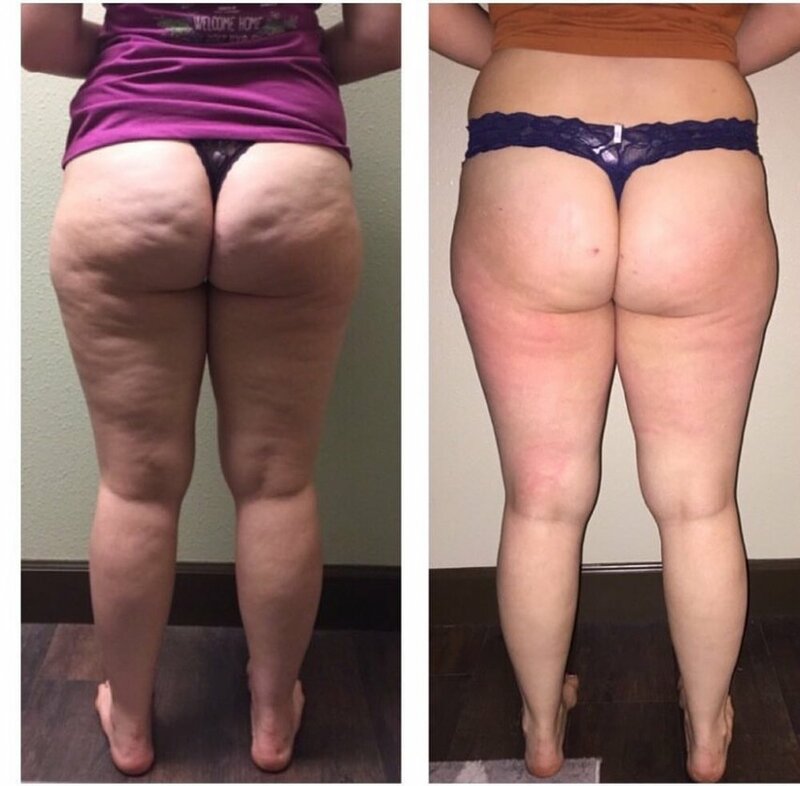 Our clients rave about their results, but it is important to note that all bodies are uniquely created and individual results may vary.